When you see a bowl like this one there is a certain amount of wow factor. The natural color of white oak makes it really stand out from other woods. Some might say it is too small but let’s get serious about this. Not that many folks need a huge bowl. Most households have small to medium sized dining tables. So, this bowl is actually just right for most people. It is 7 ¼” in diameter, 2 ¾” high and 2 ¼” deep. Don’t let the size fool you as it does have a capacity of 3 cups measured to the brim. That is more than you might think. The wood was sealed with a couple of coats of food grade walnut oil and then finished with a mixture of walnut oil and shellac. 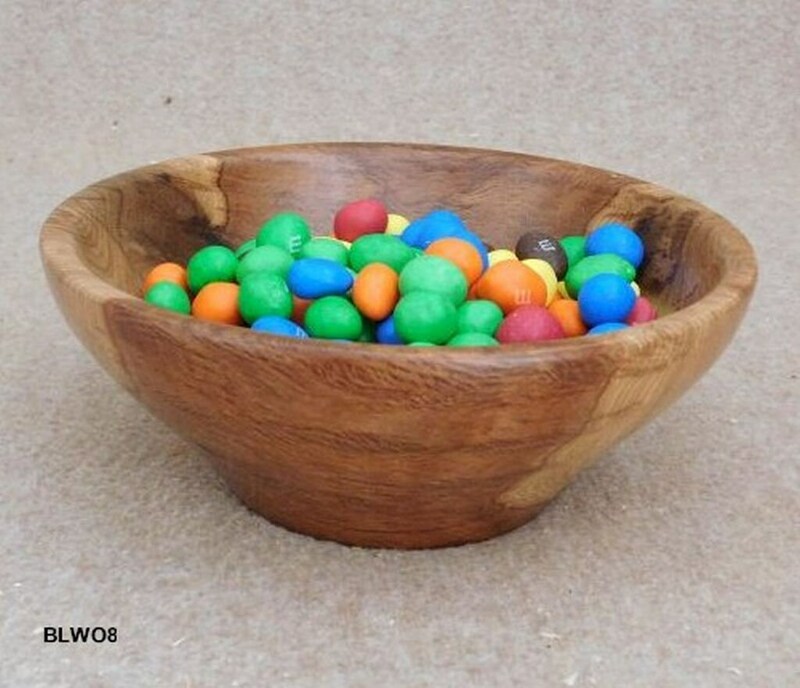 This gives the bowl a nice hard long lasting natural finish. You will find some small minor cracking here and there which is typical of this wood so don’t let that bother you. They just add to the rustic appeal. 22Apr18 BLWO8 Free shipping within Continental US only.